It would be foolhardy to have a property and not get it insured as there are a lot of chances that you could lose the property through many natural calamities such as earthquakes, etc., and many man-made calamities such as fire through short circuit, etc. Such devastating events can surely damage your property. 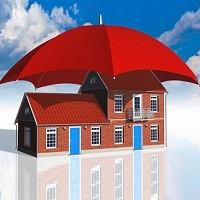 So, to protect your property get it insured through us at Arth Realty headquartered in Pune, Maharashtra. We are a prominent name when it comes to getting your properties insured for the right value. All our processes are transparent and we have no hidden costs whatsoever.